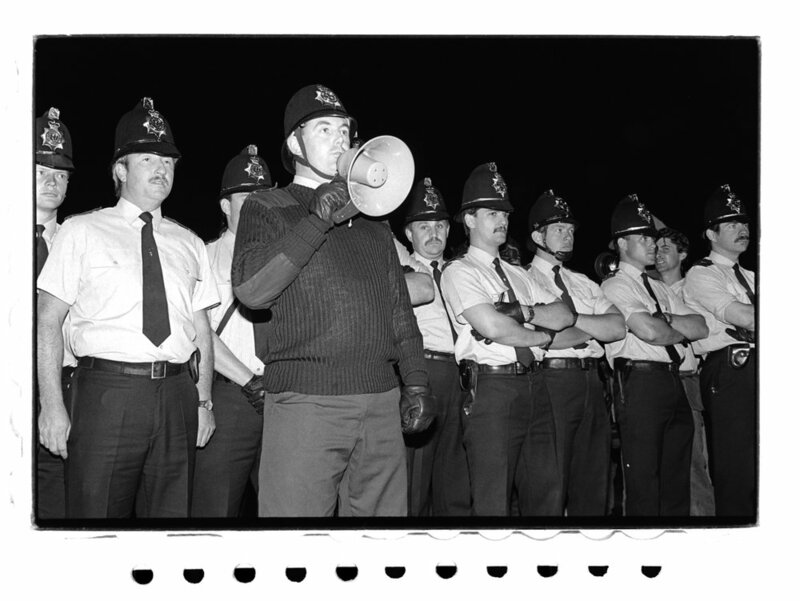 These photos are from the night of midsummer's day 1989 and illustrate the fight between the state against the right to roam and party that was going on in the late 80's. They were shot at Stonehenge, which for a few years had been a flashpoint in this struggle. The previous year, I'd shot a very strong set of images at Stonehenge, where there'd been some pretty heavy violence and probably provided one of the most surreal and bizarre nights of my working life, which is no mean feat. Unfortunately, the negs from the previous year were destroyed in a processing accident, where a suddenly filthy water supply during wash, left me with a set of negs that looked like they'd been washed in a sandpit. I still don't like thinking about those neg's, especially considering they could've been saved had I any inkling of the digital technologies and tools that were to come. The night of these photos, by comparison, were still of a very bizarre event, but far more muted and low key. I think that, by this time, the ravers and travellers realised they'd been beaten and that the party was over.